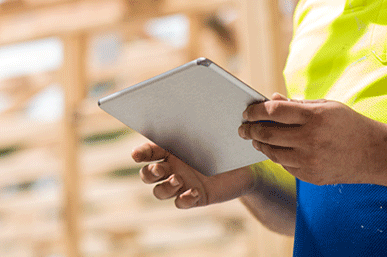 We provide a comprehensive written building inspection report. The pre-purchase check involves a room-by- room survey, covers the overall condition of the property, a clear summary of the main issues, and relevant full colour photos. Certain styles of construction have stood the test of time better than others, but clients are still often shocked at the things we uncover on even the tidiest and seemingly well-kept properties. Hidden shower leaks, poor ‘DIY’ workmanship, faulty products, and poor design or finishing details are just some of the types of things we have found for our clients through the years – and it is this information that allows them make an informed decision about such a big financial and emotional investment. It is our job to ensure you fully understand the property you are buying before you sign the dotted line. With the number of ‘leaky buildings’ on the Auckland property market, a building inspection by a qualified and experienced inspector can potentially save you thousands of dollars if weathertightness issues are identified before you buy. The leaky building syndrome has required us to evaluate plaster homes built in the 1990s to 2004 differently than most. More emphasis is put into finding leaks or the potential for the building to become a leaky home in future. Although not a full weathertightness survey (which can cost thousands of dollars) leak detection is carried out with non-invasive moisture meters which check for any elevated moisture meter readings to surfaces scanned on the day. We also pay close attention to signs of previous moisture ingress (especially important during drier months) or where suspicious repair or redecorating work has been carried out which may indicate previous weathertightness issues. We also inform clients of the maintenance requirements essential for maintaining weathertightness, and highlighting design defects and poor finishing details which are known to have a high risk of developing leaking issues. After a full assessment of the interior and exterior and its general perceived level of risk (based on the weathertightness matrix) a recommendation will be made in the summary section of the report, ranging from only some more minor maintenance requirements to a full blown weathertightness survey recommended to assess whether a full re-clad will be required. We look at the general condition of the sub-floor structure, which include structural alterations, sagging, borer content and rot, etc. The soil condition is also noted (which can range from extremely dry to mud) as well as whether there is adequate ventilation to the underhouse area. The wall cladding is an extremely important part of the building in order to maintain weathertightness, which is why every attempt is made to identify all serious faults. There are a great multitude of cladding systems on the market, some of which carry a higher risk of water ingress or require much more maintenance when compared with others (which should be allowed for prior to purchase). Other cladding types may have asbestos content or have been recalled from the market due to lack of durability, etc. which will be highlighted in the report when found. We look for signs of leaks into soffit spaces (concealed gutters), general condition, damage, sagging, build-up of leaves and vegetation growth, blockages, and where downpipes discharge water, etc. We look at the general condition of pipes and fittings (relative to age and where accessible) and for things like leaks, faulty products that insurance companies may not pay a claim for, poor workmanship, and old galvanized piping, etc. General drainage and whether there are any drainage related issues noted on the day will also be highlighted in the report.. Decks in one form or another have been added to the majority of houses we inspect. They range from small low height timber slatted porches to large enclosed waterproofed areas that act as roof cover for living areas underneath. Decks can be a source for a multitude of issues ranging from fall hazards to weathertightness issues waiting to happen. Any home can develop a problem with pests which include rats, mice, birds nesting in the roof space, or insect infestation such as borer or wasps, etc. It is important that these be discovered when possible as much damage can be caused if left to multiply (especially borer and rodents) and can also become a health and safety concern. We always note wherever there is/a suspected pest problem which is then highlighted in the report. One accessory unit is included for the amount quoted for the house inspection. The unit may be a standalone garage or small sleepout (or similar), with additional units or minor dwellings quoted for separately. Older houses (from early/pre-1900s- 1950s) in many cases have borer content, as chemically treated timber framing had not yet been introduced as a preventative measure. We therefore pay more attention to borer detection for these at-risk homes. As with the underhouse, this area also requires careful examination, as roof spaces can hide a multitude of issues ranging from leaks, lack of ventilation, lack of insulation, understrength roof framing and bracing, illegal alteration work, fire hazards, rodents, faulty or improperly installed plumbing or wiring, storage of household rubbish, birds’ nests and insect infestation, etc. The exterior joinery is an integral part of the building as it provides natural light, entry, ventilation and, just like the cladding, should keep water out of the building. As well as its general condition and ease of use, we also inspect for leaking issues, binding, flaking of paint and putty, missing latches, head flashings and scribers, rot or poor attempts at rot repair, cracked window panes and security, etc. The condition of the roof cladding is as, if not more, important than the wall cladding in terms of maintaining weathertightness, which is why the roof cladding (where accessible) is thoroughly inspected. We look for things like roof leaks, rusting, flaking of paint, cracked tiles, general deterioration, poor workmanship, lack of maintenance, high risk areas for water entry, condition of flashings and much more. A roof that requires replacing will cost the new owners thousands of dollars and so should be factored in before buying. Insulation is important for keeping the home drier and warmer, and reduces electricity bills. Many buildings still do not have adequate insulation, which is highlighted in our reports. Also, in many cases insulation (especially in the roof space) has been found to have been displaced or pushed aside from various trades people (especially when fitting downlights) which is poor workmanship and so also highlighted when found. The hot water system is checked for type, age, literage capacity, seismic restraints, leaks, corrosion, poor workmanship, and other potential faults. Many houses we inspect suffer from maintenance neglect, some of which is not always apparent and can come as a nasty and expensive shock to the new owners. We will highlight any urgent maintenance requirements where found under the relevant heading/section and summary of the report. Over the years we have encountered very high quality workmanship, however it is the other kind that we are most interested in and see much more of. Many houses over the years have had various types of alterations or extension work carried out which can affect the building structurally, can compromise its weathertightness, or become a potential health or safety hazard, which is why great focus is put into discovering shoddy workmanship. New buildings are also not immune to poor quality work, with low-skilled tradespeople often involved, meaning many new buildings are not finished to a standard expected of a recently completed dwelling. Brand new homes are not all created equal. A new-build inspection highlights any incomplete work, shortcuts or poor workmanship before you buy. We provide a comprehensive, room-by-room written building inspection report covering the overall condition of the property, a summary of the main issues, and relevant photos. Efforts may be made to disguise issues in a property, but it’s difficult to fool the eyes of experience. Our building inspection puts the whole property under scrutiny. 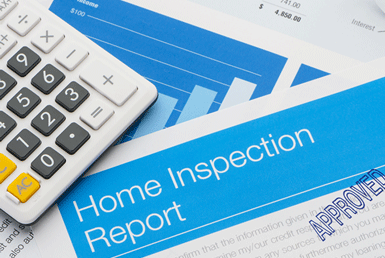 House Inspections Ltd has delivered comprehensive pre-purchase inspection reports to over 3,000 customers Auckland-wide. Many have expressed their gratitude to us for the ease of our same day service and the clear detailed information that allowed them to make crucial decisions about property purchasing. Can you tell me if it is a leaky building? We know that the ‘leaky building syndrome’ is a cause of real concern for Auckland home buyers. Weathertightness is a term associated with leaky homes and mainly concerns properties built around the early 1990’s. Monolithic/plaster clad houses built during this time are inspected with weathertightness risk and failure in mind, and moisture detection is carried out on all homes as standard. Regardless of the house’s construction type, we will report on any known at-risk details such a the design, location and workmanship etc. How do you test for moisture / leaks? We use non-invasive moisture detection equipment to help determine whether there may be any moisture present at the time of the inspection. These tools are very useful in the hands of our experienced inspector, who also looks out for physical signs of moisture ingress and at-risk details for the potential for weathertightness issues in future. Do I need a weathertightness survey? 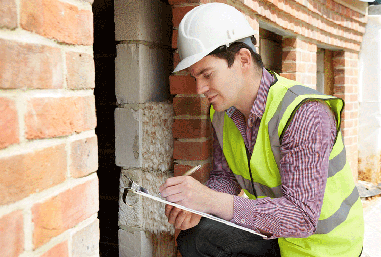 We provide a standard building inspection, which is an inspection of the property overall. A weathertightness survey is a more detailed, usually invasive, and a more costly report specifically about the building’s weathertighness issues once the building has been identified as a ‘leaky’ home. We will carry out moisture detection and report on any at-risk details for the potential for weathertightness issues as part of our building inspection service. Our report will advise you as to whether we recommend further investigation in the form of a full weathertightness survey. Our full time building inspector is experienced, trade qualified, accredited, and prides himself on his unbiased, independent property inspection services and approachability – we work for YOU, the home buyer.